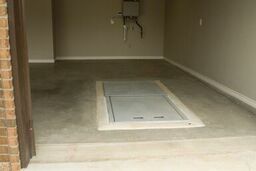 If you are in need of a storm shelter and budget is an issue, don’t give up! You may qualify for financial aid in the form of rebates, grants, Native American assistance or even FEMA funding. Take a look at your options below to find out if you qualify! 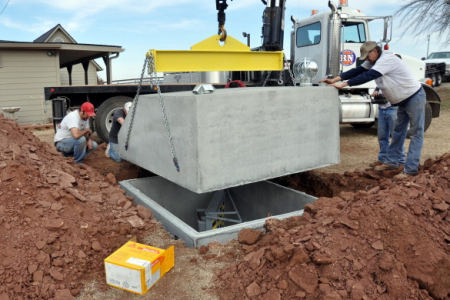 In Oklahoma everyone can go online and apply for the SoonerSafe Safe Room Rebate Program that draws twice a year (minimum) like a lottery all over Oklahoma for help getting tornado shelters. In disaster years they have been known to draw more than twice in one calendar year. Remember, you only get picked if you apply! There are no guarantees that you will get picked. Some have waited 5 years to get drawn and others have never been drawn. Have more questions? Check out our Rebate FAQ's. You can contact your local Red Cross chapter and fill out an application for storm shelter assistance throughout the state of Oklahoma. You must apply before installing your shelter. Just go to www.RedCross.com and find the programs that are available in your area. 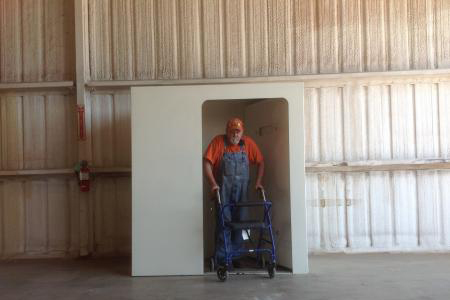 Most Oklahoma based tribes do offer assistance for storm shelters to be installed for their tribal members who are homeowners. If you are a member, you should contact the housing authority for your tribe and ask about storm shelter assistance. You will then fill out a form with your information and wait until further notice if you have been accepted and the steps to follow thereafter, as well as your budget. No matter where you live you can go to the www.FEMA.gov website and apply for assistance. Also if you live in an area prone to bad weather you can keep in touch with your city offices or local Emergency Management and they will advise you if they have any local, city or state funding for storm shelter assistance or if they know of any in the near future.